The ABS earlier this month – via their regular Australian Social Trends release – produced an article on mining towns. The print out was 16 pages long. Here is our summary, including some observations. There are currently about 260,000 people employed in the Australian mining industry. This represents just 1.8% of the Australian workforce. Ten years ago, only 80,000 people worked in mining across Australia. Mining industry employment peaked in May last year, with 276,300 employees. Mining employment numbers might exceed this peak in coming years. 22% of Australia’s mining-related workforce usually resides in Perth, up from 18% in 2006. Brisbane has the next highest market share of mining employees, with 7%, up from 4% five years before. Mining-related jobs make up 2.5% of Adelaide’s labour force. The other capital cities, and even major regional centres, have much smaller ‘usual resident’ mining-related workforces. Why Perth, Brisbane & to some degree Adelaide stand out is because most of Australia’s mines are located in these three states & the many administration & other white collar workers employed by mining companies are located in Australian capital cities. As well, a certain portion of usual residents of these cities work at regional or even remote locations on a ‘fly-in/fly-out’ or ‘drive-in/drive-out’ basis. Many consider Perth, Brisbane & Adelaide home. The ABS has defined a mining boom town as one where at least a sixth of all employed people work in the mining industry & where local population growth exceeded 2% per annum over the last five years. A sensible definition if you ask me. Their top ten mining boom towns include: Karratha, Newman & Port Headland (all the WA); Roxby Downs in SA & Weipa, Dysart, Moranbah, Middlemount, Clermont & Emerald (all in Qld). In all these centres, local population growth (% change) doubled the Australian average, with annual growth rates ranging from 3.4% to 8.6%. A third of the people employed in these ten mining boom towns were employed in the mining industry, ranging from 53% in Middlemount to 19% in Karratha. The construction industry is also a big employer, with a 15% share, on average, across the ten mining towns. Nationwide, just 8% of the workforce, is employed in construction. Construction often precedes the mining phase as infrastructure is needed to enable mining extraction, processing & transportation. Also, strong housing demand – both for permanent & temporary accommodation – means elevated construction demand. It often takes a camp of construction workers to build a mining camp. Just 6% of people counted on census night across Australia were not at home. Yet the proportion of visitors in the top ten mining towns averaged 25% – ranging from 41% in Middlemount to 16% in Emerald. Nearly all of these visitors worked in mining or construction & they either flew in & out or alternatively drove in & out of the area for work. Mining pays much more than other jobs – the average hourly cash earning for full-time non managerial adults working in mining is $52. The adult minimum wage in Australia is $15.50 per hour. Within the mining industry, average hourly rates for those working in oil & gas extraction is $75; $54 for coal mining; $46 for non-metallic mineral mining & $45 for exploration/support. The unemployment rate in the top ten mining towns averages just 2.2%, a full 60% less than the country-wide average of 5.6%. The labour force participation rate in mining towns is also high, at 86% on average, compared to 65% nationally. Three-quarters (73%) of mining town households rent; a further 18% live in housing being purchased by them, with just 9% living in a house owned outright by the resident. Nationally, these proportions are 30% renting; 36% mortgage & 33% owned-outright. About half of those renting in mining towns do so from an employer – i.e. they live in a ‘camp’; rent a room in a hotel or motel or live in more permanent dwelling which is sponsored or owned by their employer in town. Overall, one in five (21%) mining town workers lives in hotel or motel accommodation – ranging from 40% in Middlemount to 8% in Emerald. The cost of renting private digs in these ten mining towns averages $700 per week, which is 130% more than renting elsewhere in Australia. Rents, of course, vary according to each mining town. But most universally, the cost of renting from the employer rather than in the private market is much cheaper, averaging just $165 per week. New mining towns will replace older ones. But eight out of these ten were doing well – mining-wise – between the previous census periods. So maybe things don’t change that much, mining town-wise, despite all the column-inches claiming differently. There is enormous pressure to reduce mining-related costs. Mining companies need to provide better returns to shareholders. Wages & accommodation costs are under pressure. Both are starting to fall. This means lower returns to property investors. Investors need to buy the right stock – and not just anything – in mining related towns. 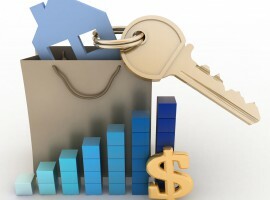 Affordability is now a key consideration. More accommodation will be supplied by employers. It now makes good business sense. 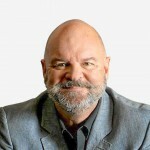 The government inquiry handed down earlier this year might insist that employers start providing affordable accommodation, especially for non-mining local workers. Traditional products – detached housing on larger allotments – will start to be replaced by more affordable housing options, such as small-lot duplexes; terrace product; townhouses & villas & low-to-mid-rise apartments in town centres.